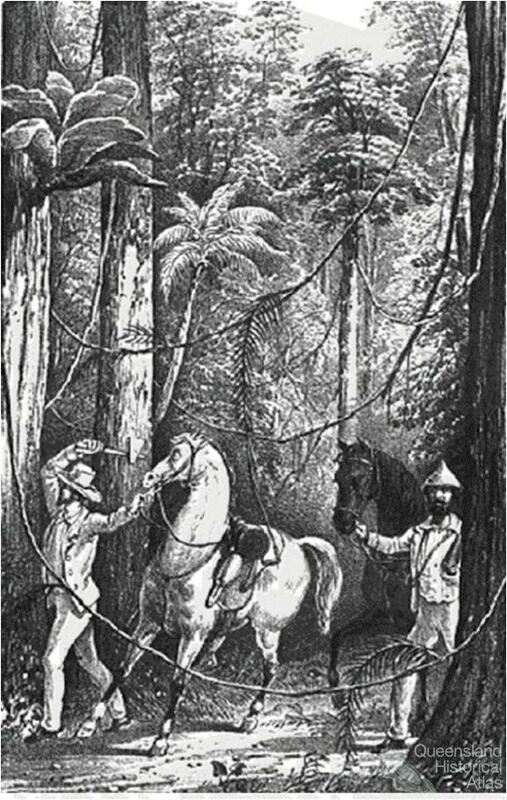 Cutting through the scrub, 1848. 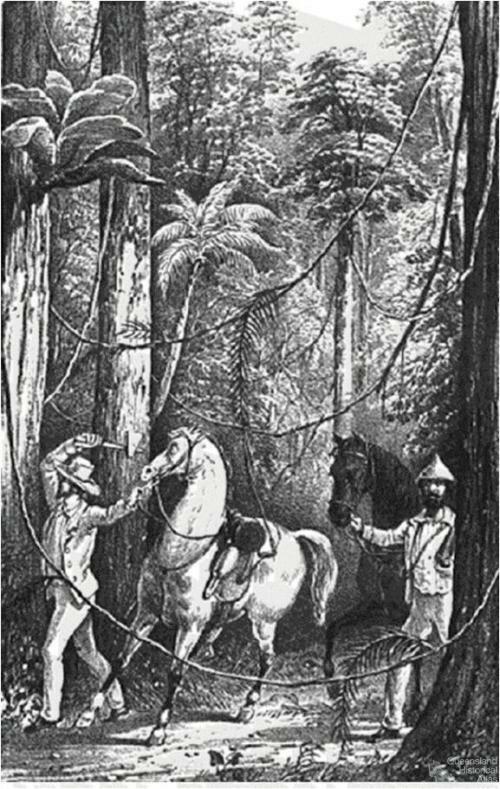 This sketch by prominent-scientist-to-be Thomas Henry Huxley shows himself and explorer Edmund Kennedy in one of the first close encounters between European people and the North Queensland rainforest, at Rockingham Bay near present-day Cardwell. It shows how forbidding, and at the same time how botanically rich, they found this environment. From John MacGillivray, Narrative of the voyage of H.M.S. Rattlesnake, London, T & W Boone, 1852, vol 1, opposite p.83.